In a year that has already seen it come under fire for passing on Ronan Farrow’s domino-tumbling exposé of Harvey Weinstein, as well as for letting Matt Lauer run rampant across decades of pay raises, NBC is at last taking a principled stand against media figures who propagate sexual assault—and naturally, completely bungling that as well. 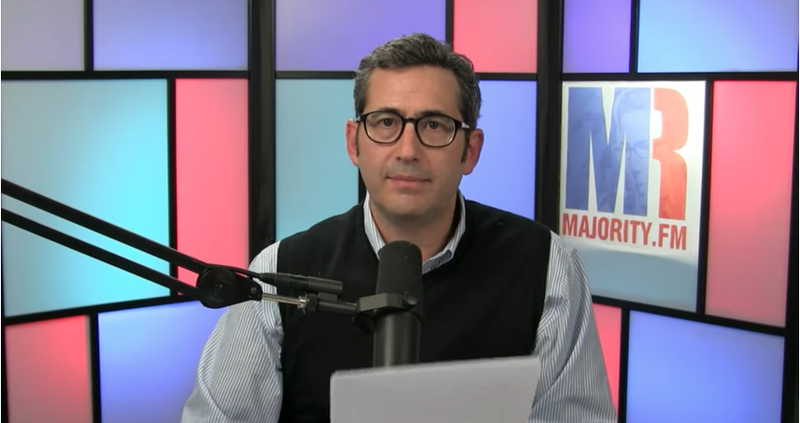 As The Wrap reports, MSNBC has just cut ties with contributor Sam Seder over a tweet he wrote in 2009, a joke that sarcastically mocked Hollywood’s continued defense of director Roman Polanski on artistic grounds. “Don’t care re Polanski, but I hope if my daughter is ever raped it is by an older truly talented man w/a great sense of mise en scene,” that tweet read, a response written to the petition urging Polanski’s release from a brief arrest in Switzerland, largely because he is “one of the greatest contemporary filmmakers.” Because of this eight-year-old dig at the film industry’s morals—and the fact that “internally there was disgust over the tweet,” as a source tells The Wrap—Seder’s contract with the network will not be renewed. In a recent edition of Seder’s podcast, The Majority Report With Sam Seder, he described how Cernovich and slightly higher-placed trolls such as Sebastian Gorka were using the unearthed tweet—which Seder had deleted after they began retweeting it—to concoct a smear campaign against him based on “willful misinterpretation,” hoping to silence his criticisms of Roy Moore—one of the only actual (alleged) pedophiles Cernovich has ever come into contact with, when he offered him his endorsement. MSNBC has now fully bought into that smear campaign, siding with Cernovich, Gorka, and the rest of the “alt-right” whose openly stated goal is the destruction of news outlets just like it through the use of blatantly manipulative trolling techniques that use their own propensity for faux outrage against them—exactly like what happened here. Great work, everyone.